. Or . 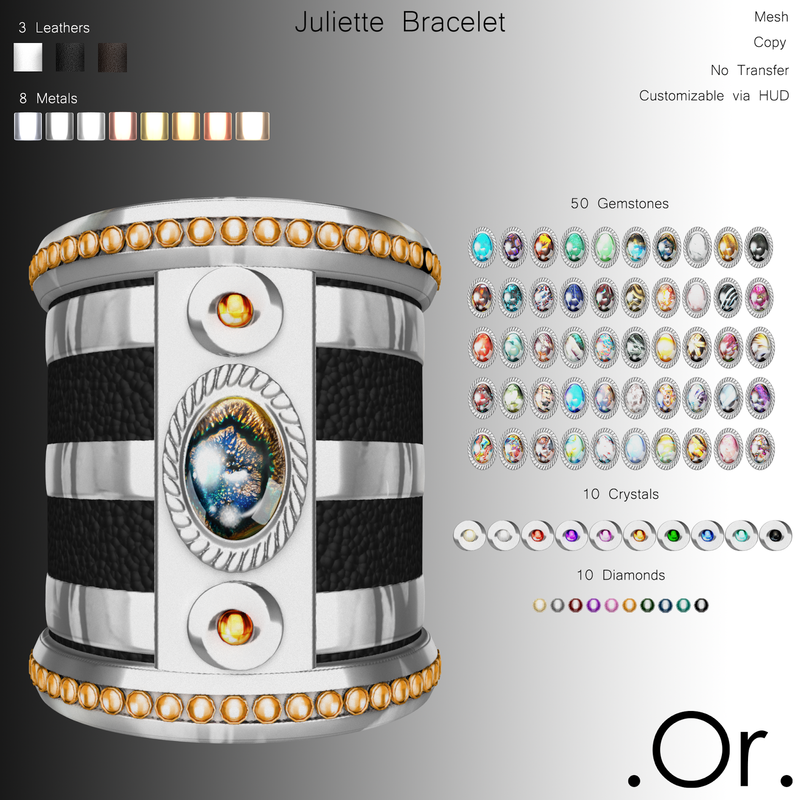 Juliette Bracelet | . Or . 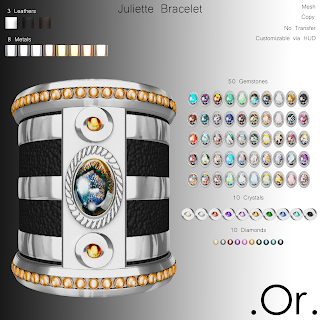 The Juliette bracelet is an original mesh creation by . Or . It is copy/no transfer and modifiable via the enclosed HUD. This is an extremely versatile piece of jewelry. The central gemstone has 50 different variations, the larger crystals and diamonds on the border both have 10 different variations. There are 3 choices of leather and 8 different metals.